1. FHA has low down payment requirements (as low as 3.5% of the purchase price). When you apply for an FHA loan you also have the flexibility on acceptable sources used for a down payment. Sources can include personal savings, gift from a family member, or approved government down payment assistance programs. Most conventional programs require at least a 5% down payment and, depending on credit, up to 20% down. 2. FHA annual insurance premiums have recently been reduced. Borrowers who apply FHA loans are eligible for FHA’s newly reduced annual premiums. According to HUD estimates, the lower premiums will save more than two million FHA homeowners an average of $900 annually. 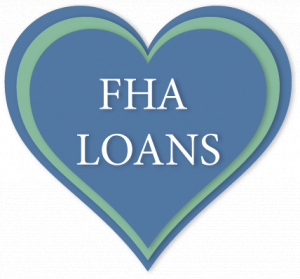 An FHA loan is attractive to lenders because it is insured by HUD. Since HUD provides the lending guidelines, some of the criteria to qualify can be less restrictive than conventional loans. Some examples include, excluding deferred student loan payments from debt-to-income calculations and lower minimum credit scores. In cases of bankruptcy or foreclosure, you can qualify for an FHA loan in as little as two years after a bankruptcy and three years after a foreclosure. As the borrower, you will need to re-establish good credit or choose not to incur new credit obligations, and also demonstrate the ability to manage your financial affairs. FHA loans allow the sellers of a property to pay up to 6% of the purchase price to cover closing costs or prepaid items associated with obtaining the loan. Conventional loans are capped at 3% in seller contributions when a borrower puts less than 10% down. This increased threshold can reduce your out of pocket expense when purchasing a home. At Liberty Financial we know navigating through loans and discovering if you qualify for certain programs can be difficult. Our loan officers are always ready to help you uncover the opportunities that will make your situation easier. Start with some free loan advice today and learn the possibilities for your next home purchase.